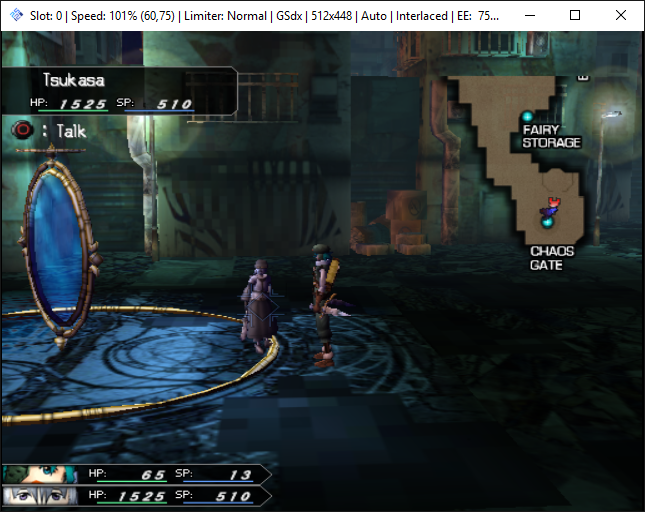 I was finaly able to play .Hack// Fragment (Dot Hack Fragment) online! I connected for the first time yesterday evening, but unfortunatly no players were there. I connected this afternoon and found someone to play with . His nickname was Tsukasa and he has a great level! (level 99). So he trained me, and I learnt a lot of thing! A very pleasant experience! I played with PCSX2 ( PS2 emulator) as I do for all my beta tests. Now I need to test it on my console. There are no other MMORPGS online for PS2, if you like this kind of game, go ahead, you will enjoy! This looks cool I am confused on how I would go about getting this to work on a physical Console. I couldn't find a guide at the site you linked to. Is there a guide anywhere? For the moment, I haven't tested it yet on console, only with PCSX2 emulator. On console, you will have to use OPL which means having Free MCBoot. I will try to test it soon on real hardware. If you have the original gmae whichh is only in japanese, applying the patch (to translate to English and to redirect to Netslum server) is very tricky and complicated to applied even if you have some explaination in the patch, you need to install a lot of other softwares. I once tried to create an xdelta patch to apply directly to the japanese version of the game (which could be much easier and user friendly to apply), but in the end the patch had a size of 800 MB! Where would I get the game file to use on OPL? okay so I was able to load it using OPL but every time I try to connect online I get Disconnect Code 1001. Is there a specific DNS for this? You should start some of those questions in another area of the forum, not in the after game lobby part.